Before Ressurectz was born, both dj’s/producers were active with their solo carreer. They discovered eachother in a local club in a small village called Krommenie, they were talking about music and decided to make a track together. After their first collaboration they look up to make a whole lot more. They kept learning from each other and their passion and love for rawstyle kept growing each day. After several years they had enough courage to put some of their tracks online and they sended them to the label: Blackout Records. Here they released several tracks who got supported on festivals such as: Xxlerator Festival, Intents Festival, Ground Zero, Airforce, Q-Base, Dominator and many more. They competed in the Jack of Sound collab producers contest (which over more than 100 remixes participated) and they won the contest! There was an official videoclip released on Scantraxx Records wich almost passed the 100k views within a month. With all that success, their remix of the Jack of Sound contest even got supported on the Qapital CD of 2018. Besides playing next to artists such as Ran-D, B-Front, Rebelion, Warface, D-Sturb, Unresolved, Neroz and The Darkraver their tracks got supported by the bigger names in the scene such as: Warface, Jack of Sound, DJ Thera, Crypsis, Darkraver, Unresolved, Jason Payne, Caine, Regain and many more. Their love and passion for the harder styles can be seen on stage, jumping and connecting with the crowd is what they love to do. These guys are living for the dream and working hard every day in the studio to achieve that. 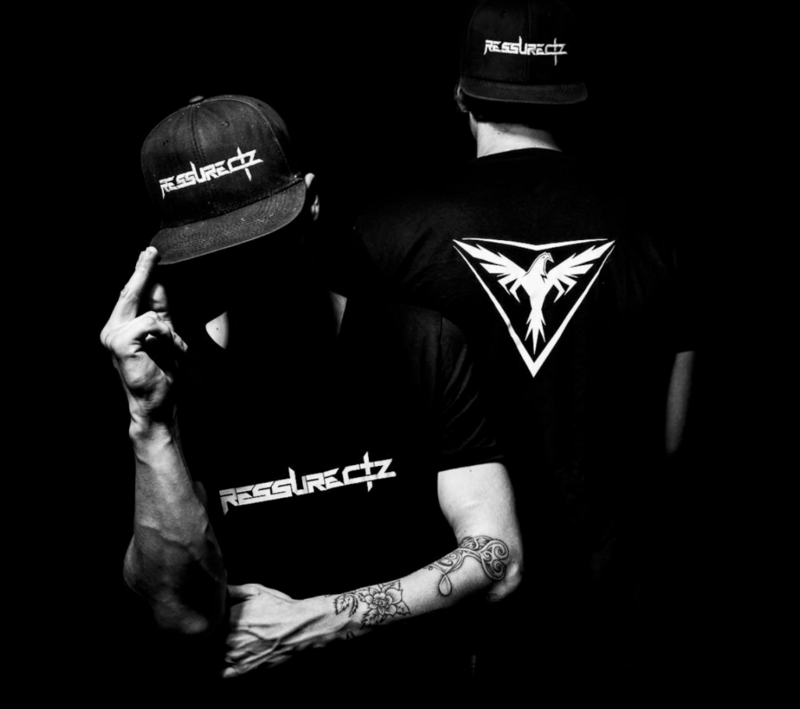 Ressurectz will take you on a musical journey that brings your head into the heavens but knocking you back into the depths of hell. With these elements, we let you decide what you can expect.